Wendy Darling is a longtime friend of Minette’s from another lifetime, yet in many ways their stories are similar. There are some fun tweetables from this interview: ‘Situational Extrovert’ and ‘Relationship Quotient’ are just a couple. 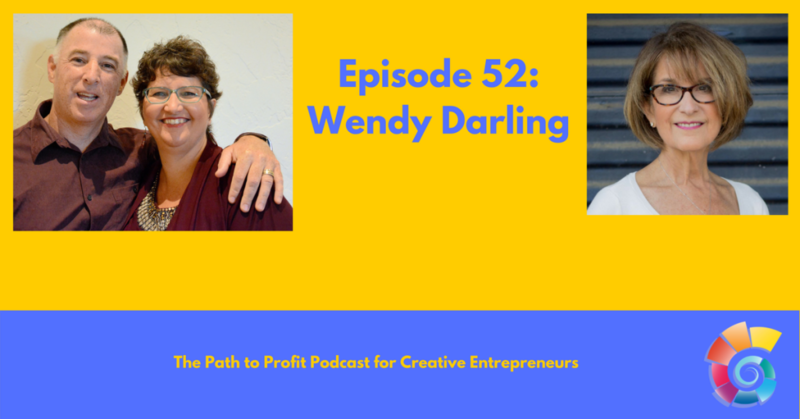 Minette and I both love her perspective on self-care and relationships, as well as getting to peek at someone who has been successful as an entrepreneur for a long time. 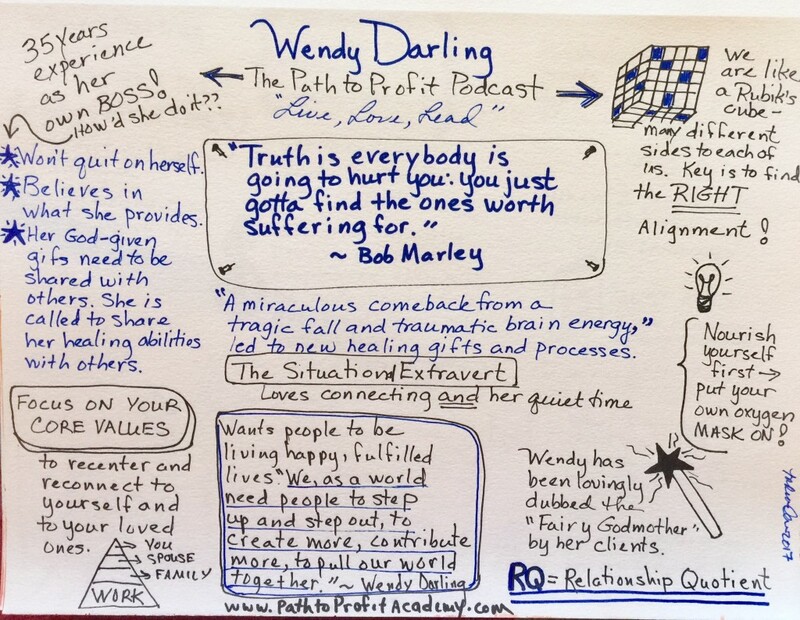 Wendy Darling: Relationship and Transformational Change Expert, Speaker, Author. Wendy Darling is the founder of the Miraculous Living Institute, a personal and professional growth organization offering presentations, seminars, retreats, and private coaching. Wendy is a recognized expert on navigating change and achieving your desired results. Her transformational system, the Miraculous Living MethodTM, provides the vehicle for achieving those results with greater ease and speed. Wendy has a way of presenting simple, yet profound questions, ideas and thoughts in a way that her clients are motivated, but more important, inspired to action. She guides people to the core of their desires, navigating them to their best path to reach their target. 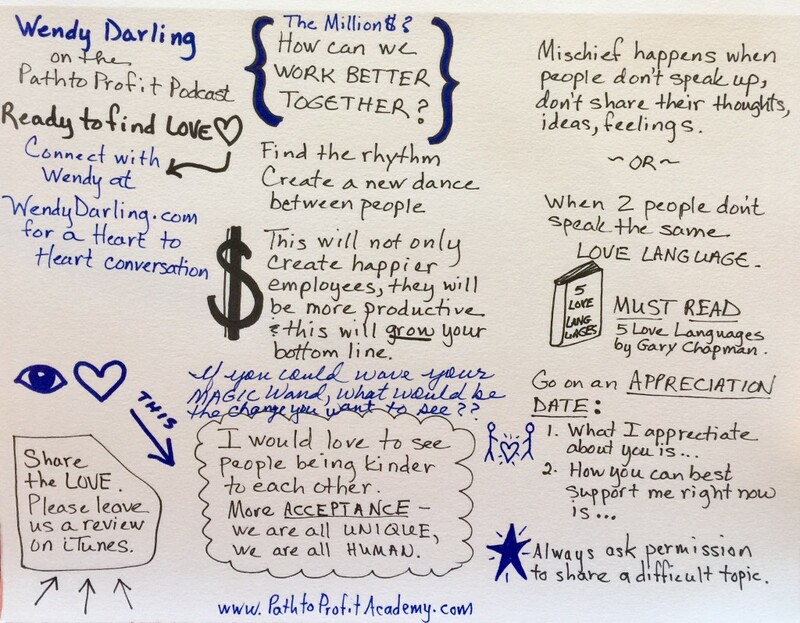 She blends traditional business ideas with innovative techniques and practical life skills. Wendy has designed and delivered more than 50 seminar and presentation topics to well over 200,000 people across the United States. Some of her signature presentations and programs include: LIVE LOVE LEAD: The NEW Formula For Ultimate Fulfillment and Success; The ROI of Collaborative Relationships; ATTRACT LOVE NOW (for singles); MIRACULOUS LOVING: The Art of Creating An Intimate and Fulfilling Relationship (for couples); Winning At Business By Mastering Your Inner Game.. In addition, Wendy has provided consulting and keynote presentations to some of the country’s leading organizations. Wendy is a former contributing columnist for Metro Family, Dallas Family, Today’s Dallas Woman, Today’s Innovative Woman and hosted her own radio shows on CBS The Sky Radio, and also in Boca Raton, Fla. She has been featured in Forbes and other publications, and as a guest on numerous radio and TV shows. Wendy is the #1 best-selling author of The Miracle That Is Your Life. Wendy holds a Bachelor of Science degree in education, a Master of Education in counseling psychology and personnel services, a Specialist’s degree, and post-graduate work in Management and Organization Development from the University of Missouri – Columbia. Clients have dubbed Wendy as their personal “fairy godmother” for her ability to help them live the life of their dreams.